EC Covent Garden celebrates World Teachers’ Day! 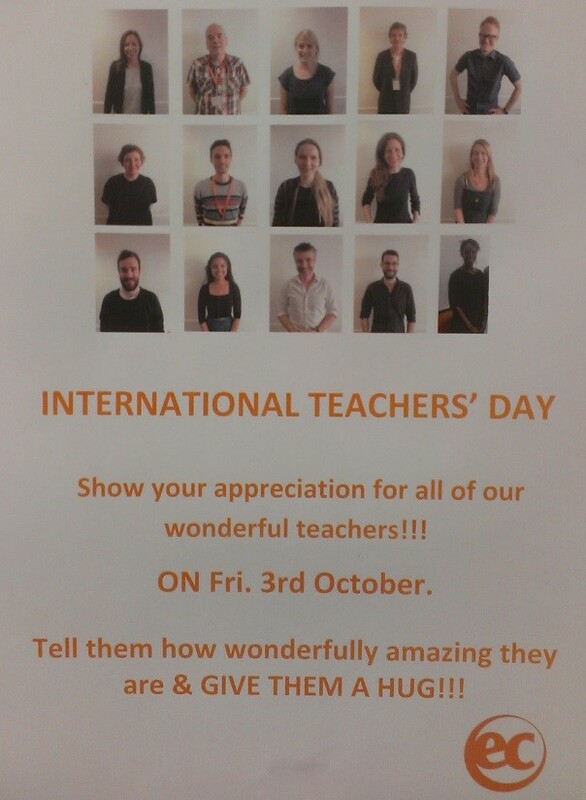 This year World Teachers’ Day fell on Sunday 5th October so we decided to celebrate a bit earlier on Friday instead. Students at EC London 30+ were very thoughtful and wanted to thank their teachers for helping them learn English and making it fun too. There were some handmade gifts like beautiful origami paper cranes and the teachers enjoyed the edible treats like cupcakes with a traditional cup of English tea in the break. 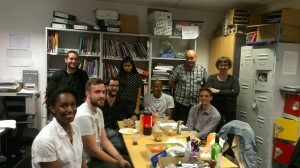 Having such great students made the teachers very happy as you can see in the photo below! At the end of the day, David (our wonderful Academic Manager) surprised the teachers with drinks and nibbles. The teachers were touched and would like to thank David and the students for making it a special and memorable day. We love our jobs because of you guys!